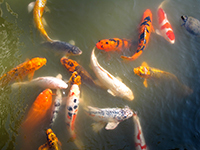 The Japanese Garden Society of Seattle believes that gardens are indispensable to enriching human lives, inspiring the mind and restoring the spirit. The Seattle Japanese Garden, located in the Washington Park Arboretum, is a renowned landmark environment where the study and enjoyment of Japanese horticulture, culture, art and design converge in harmony as a gesture of friendship between our two nations. The Japanese Garden Society of Seattle supports, preserves, enhances and stewards the Seattle Japanese Garden and its original vision as an authentic world-class Japanese garden in our city of Seattle, together with its educational, cultural, artistic, horticultural and charitable activities for current and future generations through a diverse and engaged community of donors, volunteers, advocates, and partners. 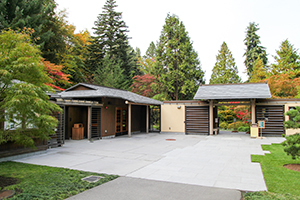 The Japanese Garden Society of Seattle is committed to implementating the core recommendation of the 2014 Optimal Operating Model Study by ConsultEcon of Bostnand its findings that by every measure, the Seattle Japanese Garden would best be served if operated by a free standing nonprofit organization dedicated soley to the benefit and welfare of the garden.